Goal: Increase awareness of sustainability issues among campus and community members through education and outreach and empower sustainability action on campus and within the broader community. 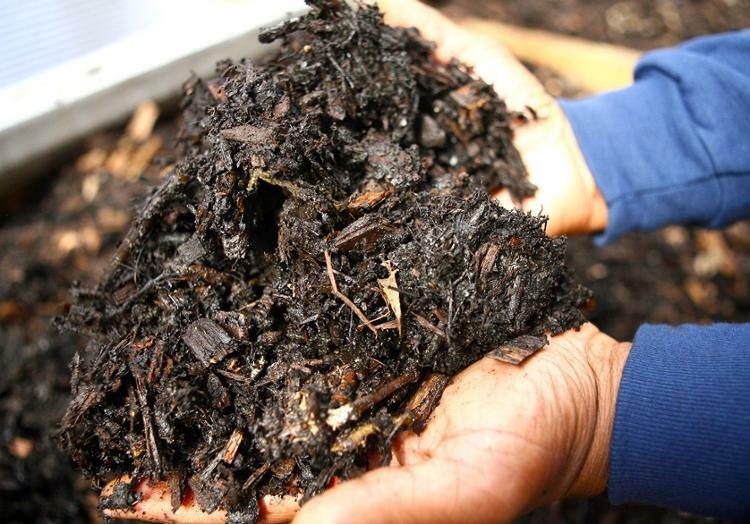 Composting food waste with community partners including Rust Belt Riders. 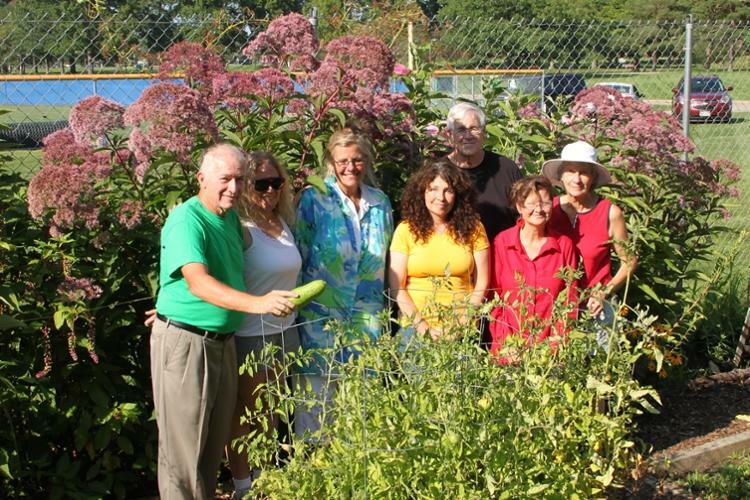 A community garden is active at the Western Campus. 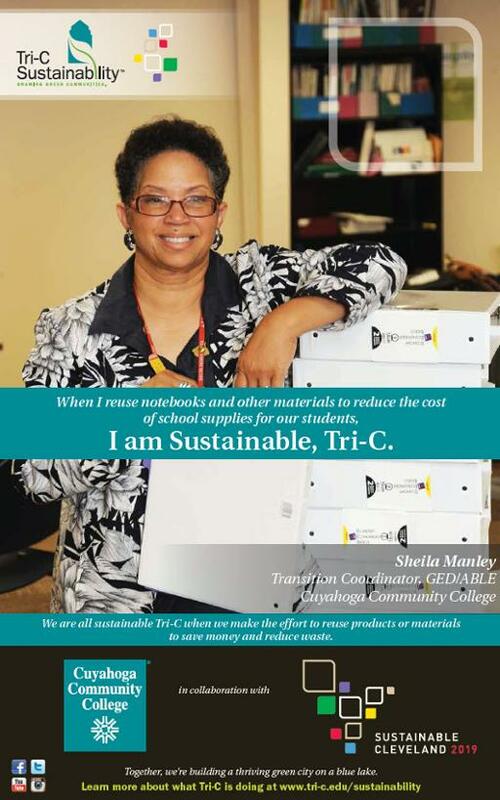 Actively involved with community sustainability initiatives, including Sustainable Cleveland. Finished compost at the Rid-All Green Partnership. Photo courtesy of the Rid-All Green Partnership. 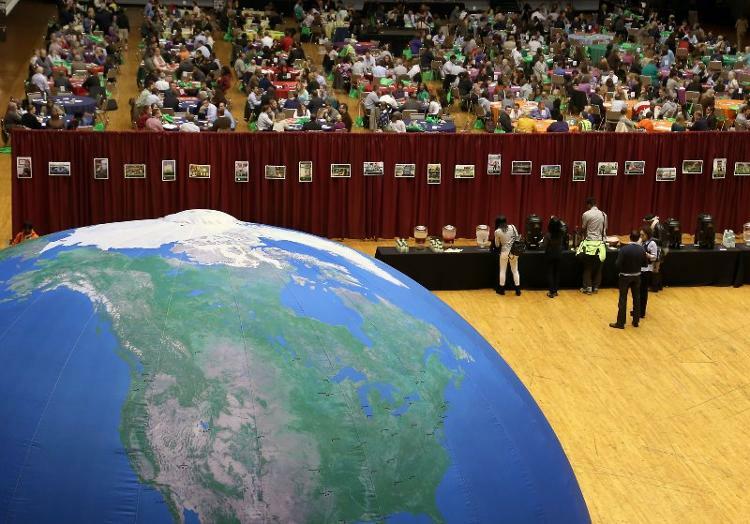 Tri-C's Earth Balloon at the Sustainable Cleveland Summit. Photo by William C. Rieter, City of Cleveland. 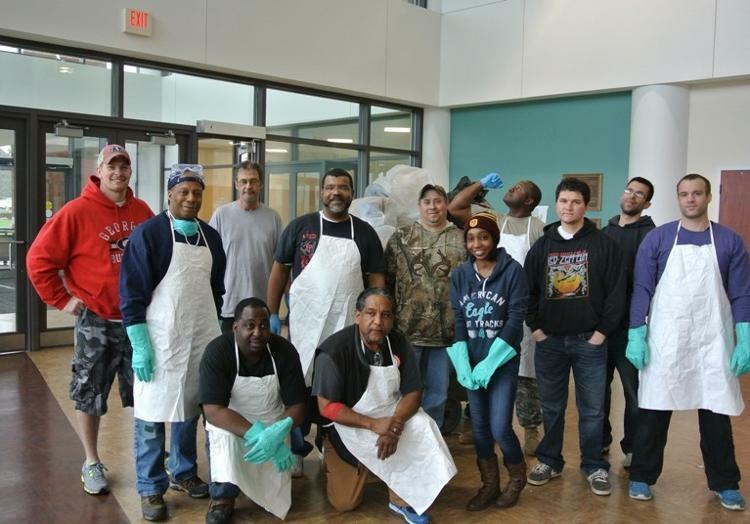 Environmental Health and Safety Club members after a waste sort on the Eastern Campus. View Earth Day Posters created by Eastern Campus students in the Visual Communication-Graphic Design "Brand Identity Design" class. Read the six winning entries in Tri-C's 2012 Earth Week Poetry Contest at the Metro Campus, judged by poet Michele F. Cooper. The poems were written by five Tri-C students and one faculty member.